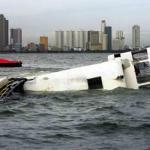 The 146 meter long, 4339 dwt ro-ro passenger ferry Super Shuttle 7 capsized and sank outside the breakwater off Manila, Philippines. 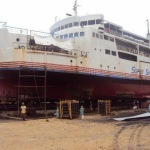 The ferry had been docked in the area for repair work when large waves from Typhoon Luis battered the vessel. The ferry was attempting to seek shelter inside the port when it capsized and sank. 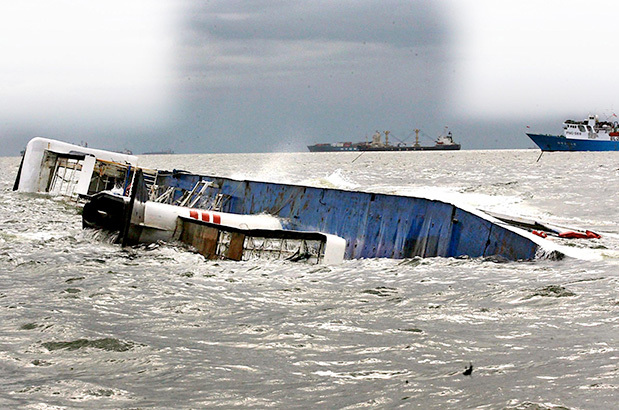 The 15 crewmen on board were able to abandon ship. Several crew were able to safely swim ashore while some were able to reach a life-raft. Twelve of the 15 crew sustained minor injuries. Authorities inspected the area around the Super Shuttle 7 for any oil pollution. The wreck will most likely be removed as it is a potential navigation hazard. 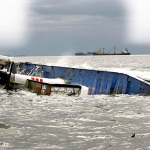 Correction: The vessel sank was the ro-ro ferry Super Shuttle 7 not the Super Shuttle Roro 7.